Solar World Cinema returned from the Western Sahara, it was an amazing trip. More than we had ever expected, in such a beautiful but remote area with incredible friendly people. We visited the FiSahara filmfestival in Dahkla refugeecamp in Algeria, a trip of 25 hours to get there, a very desolated area depending on humanitarian help for over 40 years now. The area has neither electricity nor streaming water. Evening lights are powered via car batteries and solar panels. 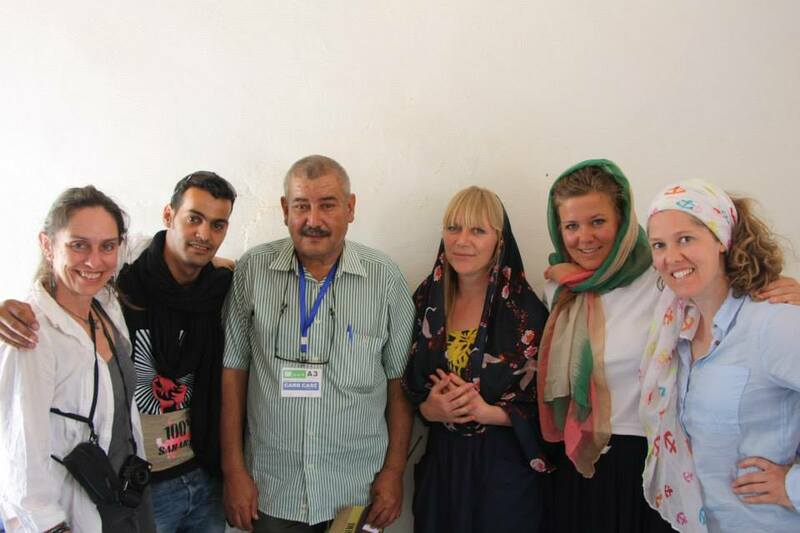 Once a year FiSahara organizes a filmfestival in Dahkla, however the other 3 refugeecamps surrounding Tindouf do not have access to the festival or the films. In collaboration with the local filmschool we will set up Solar Cinema Sahraui, a truck with solar panels on the roof, for mobile open-air cinema. Cinema is still young amongst the Sahraui people, although it can strengthen their independent voice and development. Due to this research trip we are now able to adept our concept to the area and local circumstances, furthermore we spoke to the Saharaui minister of culture who supports the idea, to the filmschool who's ex students will lead the projections, did TV interviews for an Algerian broadcasting company, spoke with local filmmakers who told us a lot about the local (cultural) reality and to many other interesting people. The next step is to get all the pieces of the puzzle together and create a strong local production team, write a plan for funding partners, get the hardware and salaries together and launch during the FiSahara 2016 edition!